Ajman: Shaikha Naila Bint Rashid Al Nuaimi, the sister of His Highness Shaikh Humaid Bin Rashid Al Nuaimi, Supreme Council Member and Ruler of Ajman, passed away on Friday evening, the Ajman Ruler’s Court announced on Saturday. In a statement, the Ruler’s Court said that Shaikh Humaid and the Al Nuaimi family are mourning the death of Shaikha Naila, expressing their heartfelt grief and praying to Allah the Almighty to rest her soul in Paradise. 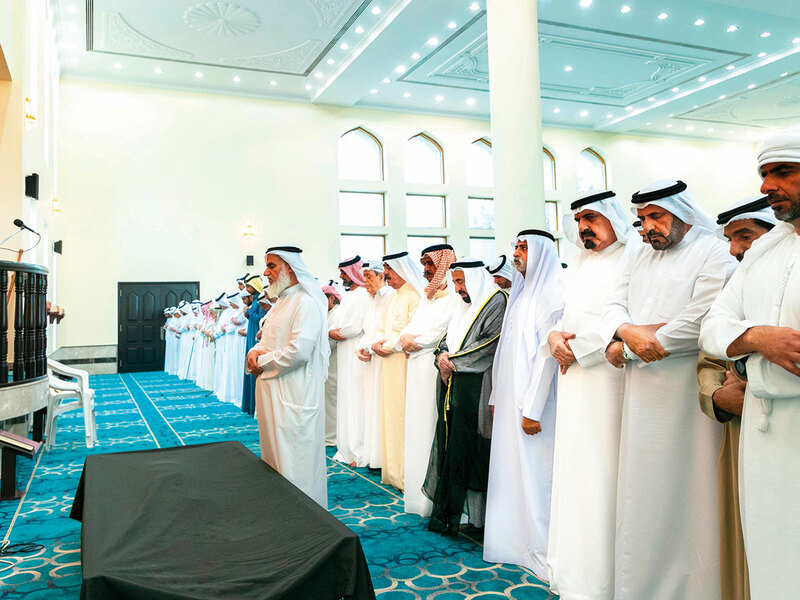 The funeral prayers was performed on Saturday at Al Rawdha Mosque in Ajman after the Dhuhor (noon) prayer. Meanwhile, The Courts of His Highness Shaikh Hamad Bin Mohammad Al Sharqi, Supreme Council Member and Ruler of Fujairah, His Highness Shaikh Saud Bin Rashid Al Mu’alla, Supreme Council Member and Ruler of Umm Al Quwain, and His Highness Shaikh Saud Bin Saqr Al Qasimi, Supreme Council Member and Ruler of Ras Al Khaimah, mourned the death of Shaikha Naila. In a statement released on Saturday, the Courts of Their Highnesses extended their heartfelt condolences to the Ajman Ruler and Shaikh Humaid Al Mu’alla.